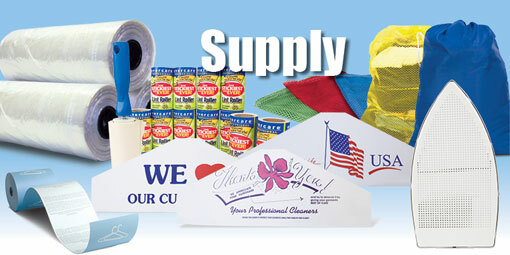 30" x 40" Counter Bag is made of a consistent, heavy-weight fabric that is durable, long-lasting, and tear-resistant. COMFORTER 15" x 18" x 3"
15" x 18" x 9"
24" x 27" x 8"
26" x 29" x 10" Made of 4 gauge clear vinyl with a white nylon zipper and breathable side panels. Carrying handle on top. sold in packs of 12. NET 26" x 38" Double-stitched seams, this nylon Open Top Mesh Bag is an extra-strong bag that won't easily fray. Heavyweight construction, this roomy 28" X 36" bag withstands repeated cleanings and the heat of the drying cycle. Laundry net pin sold separately. All mesh bags must be washed separately and tested for color-fastness before using. FINE ZIPPER NET 24" x 36"
24" x 30" Protect garments with this fine mesh net bag, with corrosion resistant zipper that withstands repeated cleanings and dryings. Perfect for delicates like blouses and lightweight pants. 18" x 20" Clear Sweater Bag lets you store sweaters flat on a shelf. Attached to a convenient header card for easy dispensing, these bags are economical and create a neat appearance.